In the IDEA Lab, we study emotions and emotion regulation. As part of this focus, we try to better understand how and why people develop the emotion regulation and coping strategies that they do by studying factors like familial socialization, parental history of depression, and child temperament. Also, we investigate potential correlates or outcomes of regulatory strategies, such as their general adjustment and well-being, cognition, and relationships. 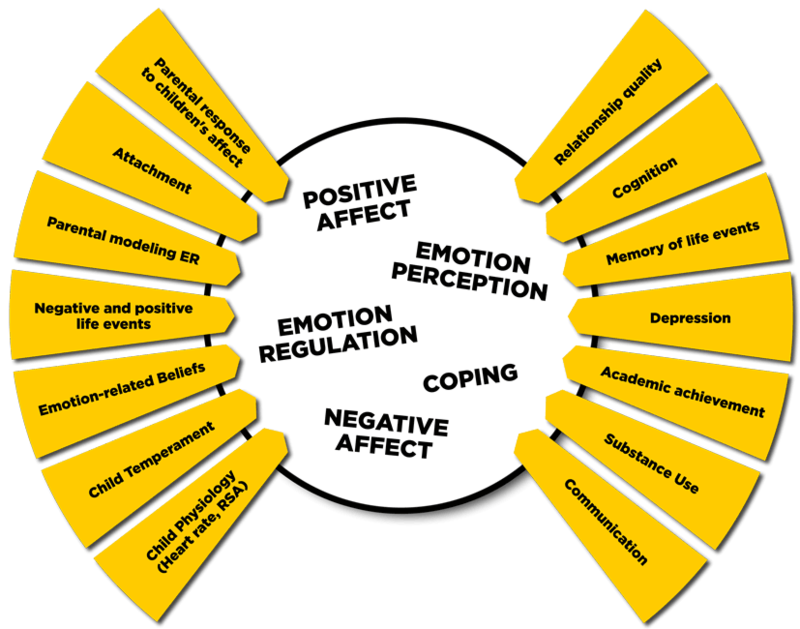 Positive Emotion Regulation in Children, Adolescents, and Adults – What do people do (after good things happen or how do they seek happiness) and what are ramifications of these behaviors? How do we measure it? Implications of ER strategies (e.g., savoring and dampening). The pursuit of happiness, hedonic well-being, or positive affect. Development of Emotion Regulation in Children and Adolescents – What factors might contribute to individual or group differences in ER? How can we enhance children’s emotional lives? Emotion regulation and related attitudes and abilities in Actors. Emotion regulation and related attitudes and abilities in Parents.